Paintings by Selected Young Americans, Uptown Gallery, Continental Club, New York, 1934, no. 46. Against the Stream: Milton Avery, Adolph Gottlieb, and Mark Rothko in the 1930s, Katonah Museum of Art, New York, 1994, unnumbered checklist, fig. 18. American Paintings: An Illustrated Catalogue. 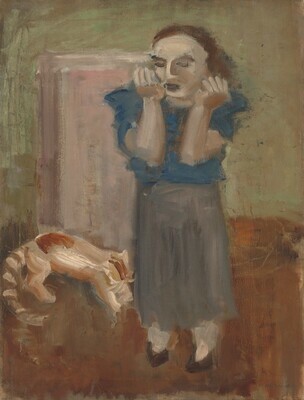 National Gallery of Art, Washington, 1992: 279, repro., as Untitled (woman and cat). Anfam, David. Mark Rothko: The Works on Canvas: Catalogue Raisonné. New Haven and London, 1998: no. 34, repro.